I read this article and found it very interesting, thought it might be something for you. 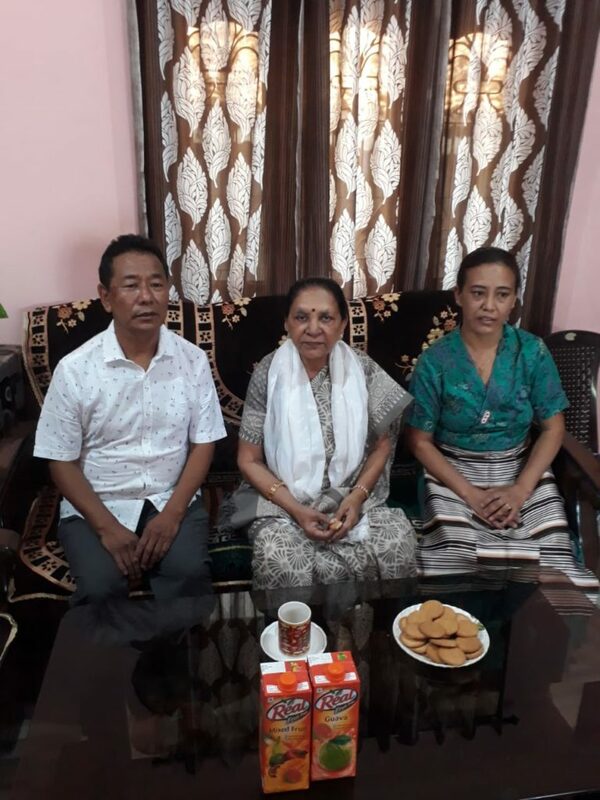 The article is called Governor of Chhattisgarh visits Mainpat Tibetan Settlement and is located at https://tibet.net/2019/04/governor-of-chhattisgarh-visits-mainpat-tibetan-settlement/. 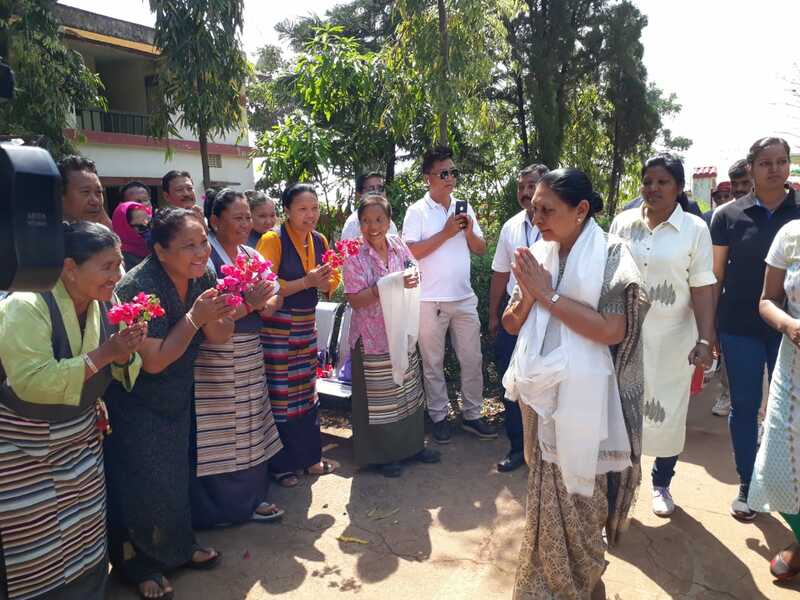 Governor of Chhattisgarh State, Shrimati Anandiben Patel ji visits Phendeling Tibetan Settlement, Mainpat amid rapturous welcome, 7 April 2019. Mainpat: The Hon’ble Governor of Chhattisgarh State, Shrimati Anandiben Patel visited Mainpat on Sunday on an official tour. 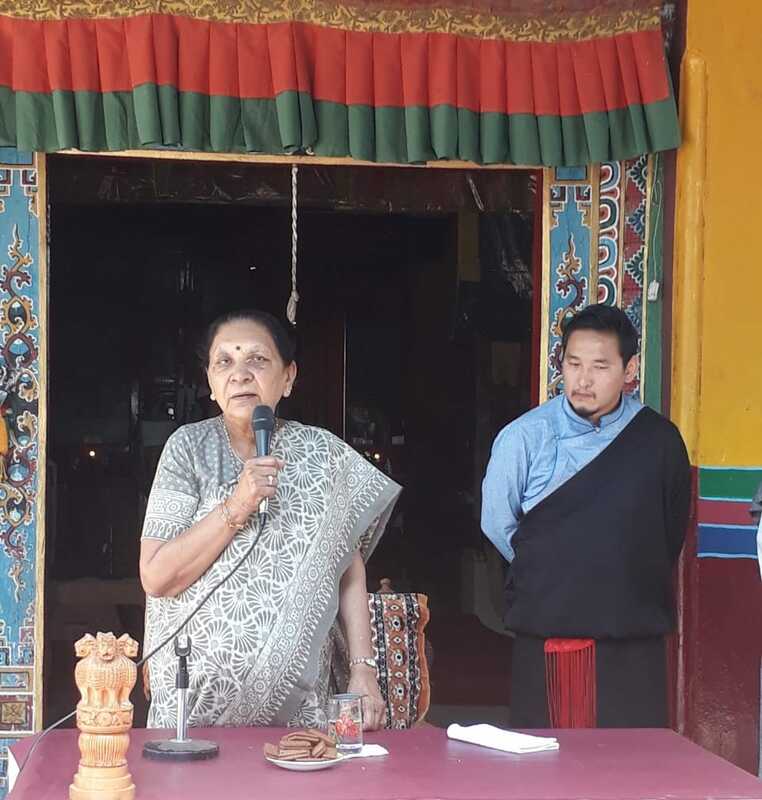 Though her official program was to visit the Tibetan Monastery in camp 1, Hon Governor explored the Tibetan community in Mainpat and visited the Dhakpo monastery where all the local Tibetans offered her a rapturous welcome. Hon Smt Patel toured around the monastery; offered Tibetan white scarf at the throne of His Holiness the Dalai Lama and butter lamp. Lhamo Association of the settlement performed snow lion dance and students performed traditional dance to celebrate her visit. Governor Shrimati Anandiben Patel distributed sweets and fruits to all the children and delivered a speech. She mentioned the significance of Buddhism and its contribution to mankind. She also expressed her happiness at meeting the Tibetans in Mainpat. She said she visited Tibet once and today’s visit to Mainpat Tibetan settlement was like a second visit to Tibet. 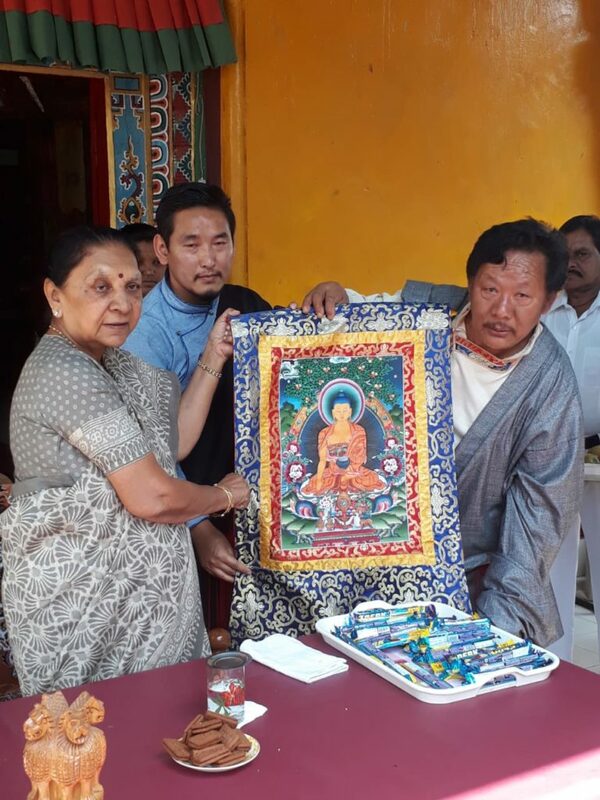 On behalf of the Tibetan community, Settlement Officer and Local Assembly chairman presented a Tibetan Buddhist painting (Thangka) to the Governor. She later visited one Tibetan family to see Tibetan lifestyle and spent a considerable amount of time with the family. She also visited Tibetan old-age people’s home and greeted each one of them. Finally, she thanked for the hospitality. Tibetan Settlement Officer and Local Assembly chairman of Phendeling present a Tibetan Buddhist painting (Thangka) to the Governor of Chattisgarh. Hon Governor Shrimati Anandiben Patel addressing Tibetan community during her visit to Mainpat. 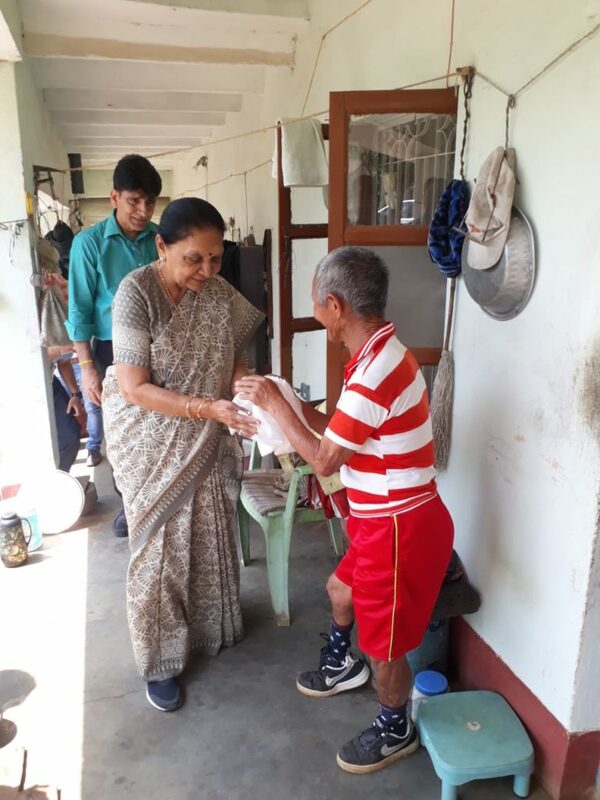 Hon Governor Shrimati Anandiben Patel ji visits Tibetan old-age people’s home at Mainpat Tibetan settlement. 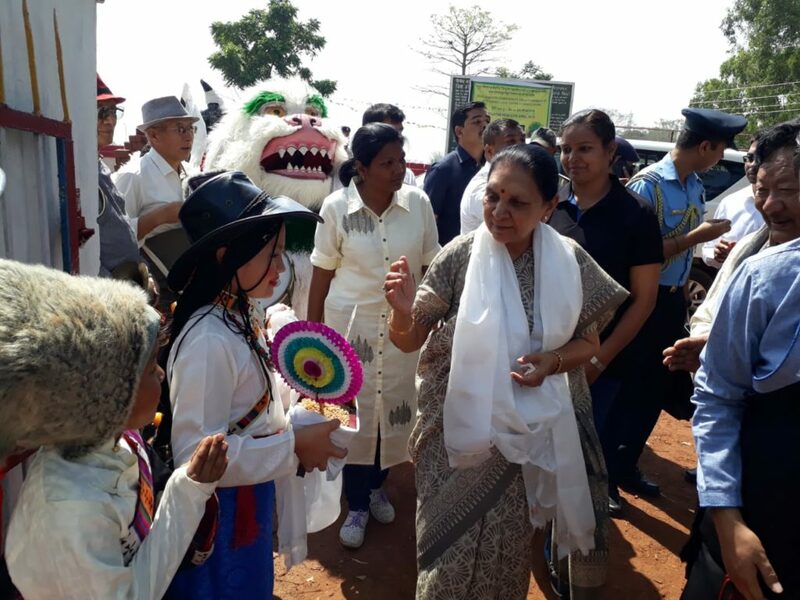 Tibetans offer a rapturous welcome to Hon Governor Shrimati Anandiben Patel. Chattisgarh Governor, Shrimati Anandiben Patel ji visits a Tibetan family to observe Tibetan lifestyle.